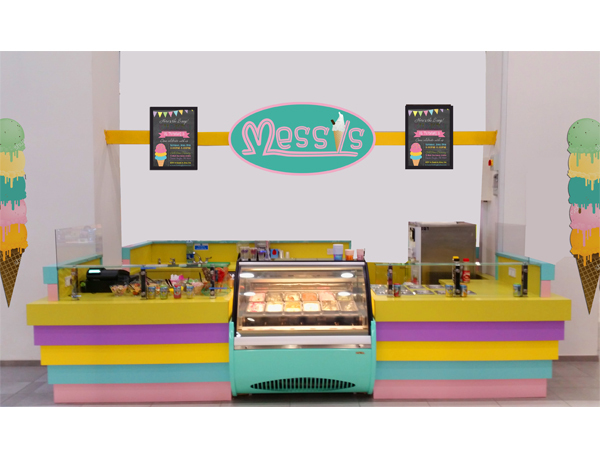 MessYs Ice Cream is a relatively new confectionary chain specialising in frozen treats. Their inaugural kiosk is located in the Northside Shopping centre, Dublin 5. 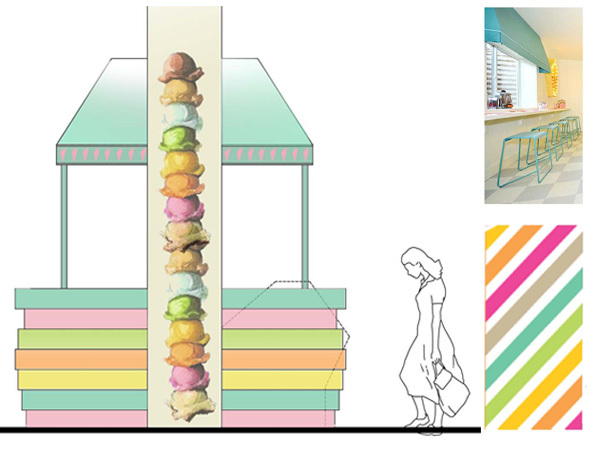 The stand is aimed towards sweet toothed kids and adults alike and needed to project the happiness that comes with that fresh scoop of ice cream. The brief was to create an inviting kiosk that screamed fun. 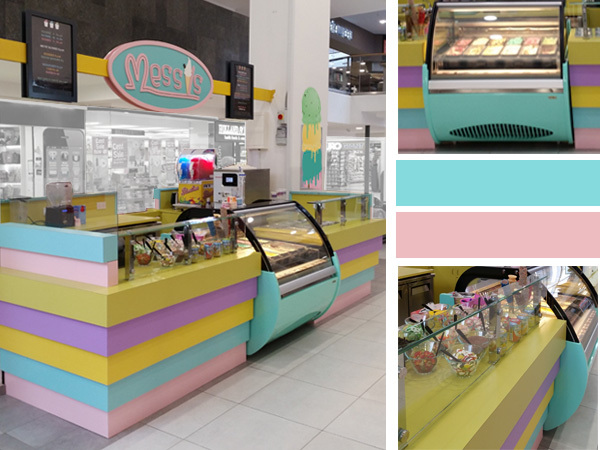 The finished design resulted in a tiered, pastel coloured counter that featured the ice cream and confectionary front and centre making it hard to resist.